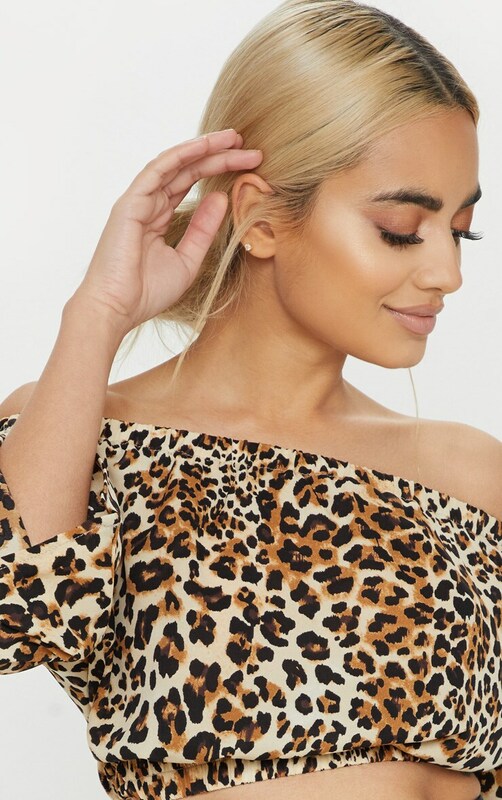 We are obsessing over all things animal print right now and this blouse is at the top of our hit-list. 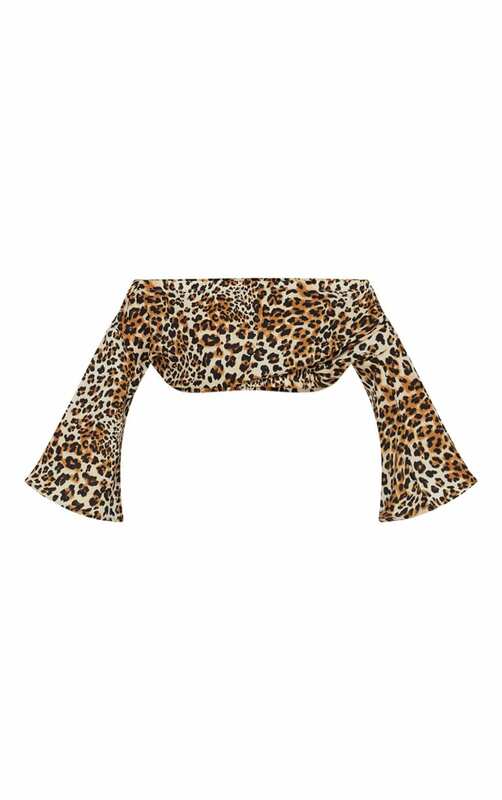 Featuring a leopard print satin fabric with a cropped length and flattering bardot neckline, what's not to love? 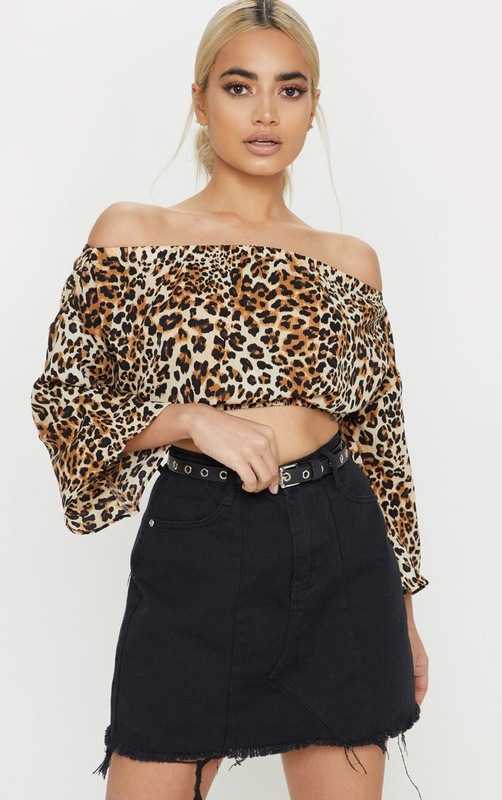 We love this styled with a black denim skirt and chunky lace up boots for a look we're loving.